Terre d'Hermés is a fragrance triumph. Voted 'Best Fragrance of the Year' by FiFi in 2007 in the 'Men's Luxe' category, there is much to love in this weighty square-shouldered flacon. Its opening accords of fresh green/orange citruses are sharp and refreshing, however, it quickly shifts into an unusual chocolatey/jaffa note, before some rich earthy and elemental accords come to the fore. It is the scent of a long-forgotten orange orchard that is overgrown and untameable... one that can only be reached by cutting through thick, tangled undergrowth that has flourished over several centuries through abandon and neglect. There is almost a sense of an "electrical storm" hanging overhead... a threatening heaviness, accompanied by the sharp spike of ozone in the air that declares when clouds, swollen with precipitation, are set to burst. One can detect the aroma of dusty, turned earth as it is speckled with fat raindrops... soil that is littered with over-ripe, mouldering oranges that have fallen from the green canopy above. 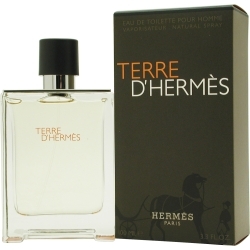 Terre d'Hermes comes in two concentrations - an excellent EDT spray, and a pure parfum spray (somewhat rare amongst men's releases these days) which will last pretty much all day long. Spanish designer Jesus Del Pozo has a vast history in fashion and fragrance and is revered for his creations that reflect personality and style. 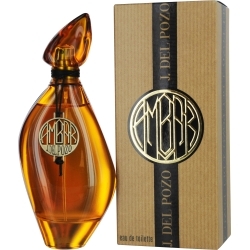 In 2010, the good folk at Del Pozo decided it was time to launch their take on vegetal amber - a theme that has been visited many times in perfume since recorded history began. Vegetal amber is the fossilised sap from prehistoric trees… stone-like nuggets of a honey coloured hue that are admired for their primordial beauty. This perfume is presented in a stunning flacon which gives the impression of a tumbled piece of this semi-precious gem. The perfume itself is a wonderfully diaphanous blend of crisp tangerine and bergamot, which dances over a blushing floral heart of peony and iris. A huff of cardamom and tea furnish the perfume with a light piquancy, and this spreads over a pale cedar/amber base. Ambar is not a traditional amber perfume, which often tend to be thick, honey-like and sweet; rather, it is an upbeat, modern interpretation on the amber theme, and one that is perfect for the warmer weather. After 40 years of perfume-making to modest international acclaim, US perfume house Jacomo enjoyed somewhat of a renaissance in 2010 with the launch of their colourful Art Collection series: a trio of perfumes launched to explore an olfactory dialogue between perfume and art. #08 is a deeply aromatic eau de parfum that draws its inspiration from the vibrant and colourful cities of Bengal and Madras. It surprises with its Asian-influenced opening of crisp ginger and black tea, through which a startling and enduring spicy cardamom accord emerges. It instantly speaks of the cuisine of northern India, and resolutely plays a preeminent role for the first 10 - 15 minutes. A milky accord in the heart of the perfume, coupled with warm notes of sweet cinnamon both furnish the perfume with a delicious 'iced chai latte' vibe. But there is abundant colour present too... luminous freesia, golden honey, and dewy fruit pulp all lend a vibrant lip-smacking quality to the scent. Art Collection #08 is spirited, colourful, fun, and something in which both men and women can partake. Thierry Mugler's approach to creating Cologne, was to draw upon the historic culture of cologne, and thrust it forward several hundred millennia into a far-flung spacescape. 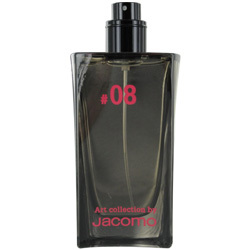 He wanted to create a synthesis of fragrant molecules that would unify men and women, and honour the idea of androgyny. As a result, this gender-neutral perfume release is brimming with clean, striking, soapy freshness - drawing upon the pristine vitality of mother earth. A crisp and refreshing elixir, this perfume is full of rousing citruses: bergamot and petit grain, which shimmer over an invigorating heart of neroli / orange blossom and bracing white musk. The sum of these individual components are clean and almost soapy…. they hover over a rather organic nucleus - an aromachemical trademarked by the house of Mugler, simply called the "S note"… the effect being rather like smelling citrusy green soap on warm skin. 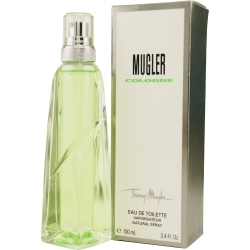 As with most colognes, Mugler's scent is intended to be applied liberally. It is arguably best applied by splashing it into ones cupped hand and rubbed across the body and the back of the neck. It is a wonderfully uplifting scent when worn in the summer months, or deliciously clean and calming when sprinkled on bathrobes and bedsheets at all times of year. If Cologne is anything to go by, we should look forward to the next time the house of Mugler transports us off to extrasolar landscapes around the Mugler galaxy. I usually don't shy away from wearing scents marketed to women, and am pleased if I can inspire men in particular, to try something they might not have ever contemplated. 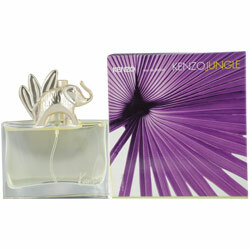 Kenzo's Jungle L'Elephant is one such scent that I feel masterfully bridges the gender divide. Much like the beast itself, this perfume is bold, robust and commanding. The opening accords I liken to those opulent notes present in Tom Ford's Black Orchid... thick, rich and imposing. A blend of mango, heliotrope and ylang-ylang I find totally enchanting here, and the spices are rich and dark; somehow cumin, cardamom and clove lend a dramatic sense of depth and scale to the mix. A lavish combination of vanilla, liquorice, patchouli and amber imbues the perfume with a delicious gourmand appeal. This intense and dramatic composition creates a perfume that can be enjoyed by many, but, this untamed animal is not one for the faint-hearted. It is extremely tenacious and has titanic sillage. I've always been a fan of lean silhouettes cut close to the body... a hallmark of Italian fashion powerhouse CoSTUME NATIONAL. 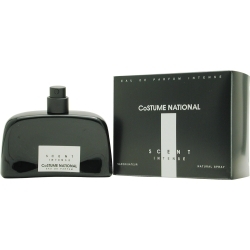 In 2002, Costume National launched a trio of fragrances that were designed to fit the body as competently as the clothing line. The flagship fragrance aptly named "Scent" was flanked by a lighter 'sheer' version, and the incredible Scent Intense - a compelling, concentrated eau de parfum. For a designer release, it does not conform to the "mainstream" norm; rather, it is as bold, as edgy, and as striking as the fashion itself. Dark, refined, enchanting. Despite it originally being created for women, Scent Intense is also well-loved by men as a daring and avant garde creation. This intense perfume has very generous projection, and longevity. A fragrance for those with men and women who like their fashion edgy and daring… the same way they like their scent. Perfumes inspired by mythological themes have always had some appeal to me. Most probably, in part, because of the enduring legacy the legend itself has enjoyed. But when one hears of a scent named after a god or a titan, one can only imagine a perfume both monumental and vast. Eau d'Ikar - fashioned on the legend of Icarus - is such a scent. The juice is a sparkling sunshine yellow, in keeping with the legend of the character in Greek mythology who flew too close to the sun. "Mastic" is a key feature of Sisley's newest masculine fragrance. It is a tree resin collected from shrubs native to Corsica, Greece and Asia Minor which has a minty/lemony olfactory profile. This fragrance opens with a mastic/citrus blend that is almost dry in texture... it is slightly bitter and has a hint of green earthiness, thanks in part, to a carrot seed accord. With the opening spritz, one imagines walking along a grassy/sandy path through the pines by the sea. A heart of jasmine and iris sends a huff of light florals spinning on the air, which feel almost feathery in texture. More mastic and orange pekoe tea lend a grounding earthiness that diminishes the impact of the florals and provides complexity. These accords rest over a velvety green cistus/vetiver/mastic base and trail off well into the drydown. Keeping with Sisley's tradition of crafting exceptionally fine scents, Eau d'Ikar evokes an idea of vast Mediterranean landscapes and sultry summer heat. 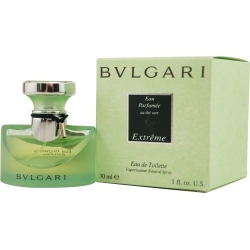 Luxury jewelers hoteliers, and perfume purveyors BVLGARI launched this intense fragrance as a flanker to their highly successful Green tea scent in 2000. Perfume miestro Jean Claude Ellena is the nose behind the Extrême release, which is distinctly more intense than the original eau de cologne. An eau de toilette for men and women, this release again focuses on green tea, but also light florals and zesty Italian bergamot. White pepper serves as the humming heart over which these radiant green floral accords shimmer. It brims with fresh green vitality. There is also a nectar-like warmth at its heart - like a thin ribbon of golden honey which evokes the sensation of being in perpetual sunshine. I am impressed with its longevity, and as a refreshing summer tonic, Extrême artfully awakens and stimulates the senses. A perfume which is genderless, it can be enjoyed by both men and women, and works incredibly well in (but is not limited to) the warmer months. Magnolia is the protagonist appearing in the lush villa gardens sprawling around the enchanting Lake Como. Blushing blossoms reach skyward amongst a mosaic of roof gardens and terraces, whilst releasing their rousing perfume on the air... it is a flower that exudes a timeless sense of elegant femininity. 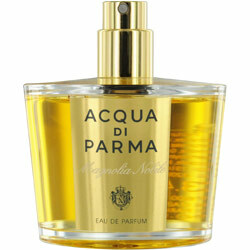 It is no wonder that Acqua di Parma awarded her a starring role in their bewitching eau de parfum, Magnolia Nobile. Magnolia Nobile opens with what I would call the "signature" Acqua di Parma topnote of bergamot and lemon which are distinctly Mediterranean in style. A puff of cedar beckons the nose into a rich floral heart of magnolia, rose, tuberose and jasmine. An adept marriage of floral accords and earthy patchouli and sandalwood makes Magnolia Nobile both modern and whimsical. It is a scent of contrasts in which radiance meets velvety softness. A delicate and charming feminine perfume offering opulence and infinite presence. Magnolia Nobile sits close to the skin, and lasts approximately 6-7 hours.